Below are 3 of our top recommended Samsung TVs. To shop for more Samsung TVs please click here. In addition to the upgraded features of the 550 series Samsung LCD Televisions the LN40A650 offers a considerable increase in feature set. Some of the upgrades include Samsung's patented Touch of Color which adds a translucent red hue to the bezel framing of the LCD. “With the application of TOC design to the 6 and 7 HDTVs, Samsung is truly changing the look of TVs and introduces a visual appeal that will make it the centerpiece of any living room.” said Jonas Tannenbaum, vide president of Flat Panel Marketing at Samsung Elecronics America. You’ve never seen a television this beautiful. 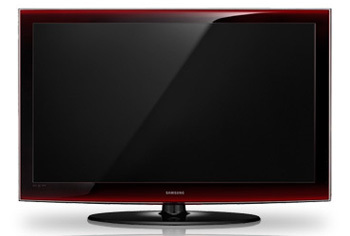 The SAMSUNG PN50A650 HDTV features Touch of Color™ - a unique design which adds a hint of color to the bezel. Plus, advanced features like Ultra FilterBright™ protect against glare and a 1,000,000:1 dynamic contrast ratio delivers stunningly realistic images. 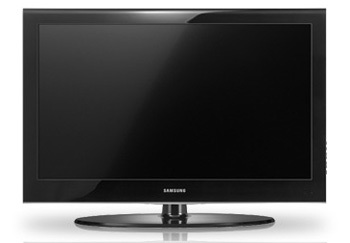 Create the ultimate home entertainment experience in your home with the SAMSUNG PN50A650 widescreen plasma HDTV. One step up from Samsung's entry level 450 LCD series is the 550 series. In addition to the features on the 450 series the LN52A550 series has a cleaner design with touch-sensitive manual controls. The side buttons from the 450 series have been eliminated and the 550 series contains 3 HDMI inputs rather than 1. One of these HDMI inputs is side mounted. Like the 450 series the LN52A550 contains Samsung's Super Patterned Vertical Alignment (SPVA). This LCD Television also contains a USB 2.0 port. To shop for more Samsung TVs please click here.